I am uploading a photo I took at my niece’s birthday party. 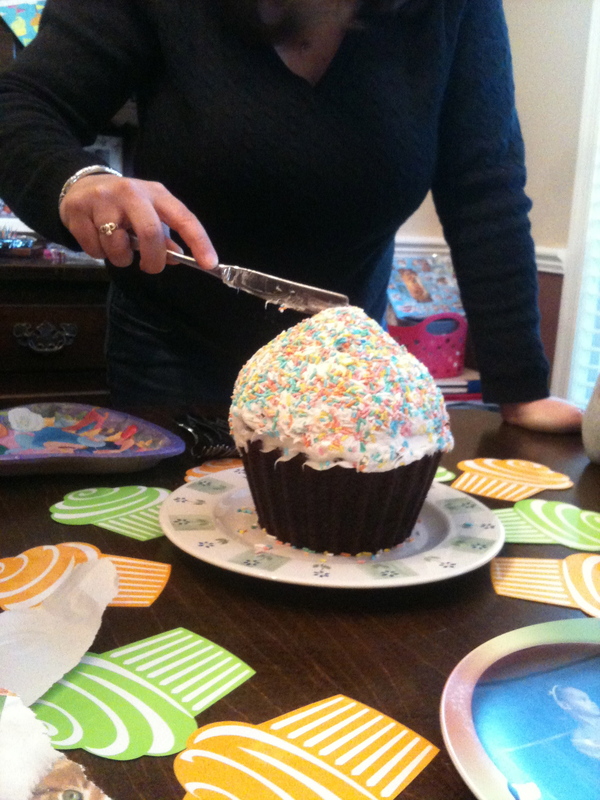 Her mom made this giant cupcake cake and a bunch of little cupcakes. Not only does it represent the growth of the cupcake, but the growth of my niece who is now four years old and so full of energy, it takes an army to keep up with her. Furthermore, this is a “growth” in how yummy cakes are made as it is gluten-free, peanut-free, egg-free, and milk-free to meet all of the allergy-free requirements from different members of our family. This entry was posted in diet, fat, gastric by-pass, skinny, Uncategorized and tagged birthday, cupcake, fat, food, gastric by-pass surgery, gastric bypass, postaday, skinny, skinnygirl. Bookmark the permalink.